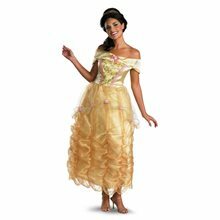 Alice Movie Deluxe Dress Adult Costume.Includes: Dress with petticoat and glovettes.Available Size: Womens - Small (4-6), Womens - Medium (8-10), Womens - Large (12-14). *Shoes Not Included.Care Instructions: Do Not Wash. Do Not Bleach. Do Not Tumble Dry. Spot Clean with Damp Cloth. Cool Iron If Needed. Do Not Dry Clean.Look just like Alice from the movie in our Alice Movie Deluxe Adult Dress featuring blue dress with black buttons and print with blue and black striped glovettes. Sassy Big Bird Adult Costume.Includes: Dress, stirrup knee highs with bows and character headband.Available Size: Womens - Small (6-8), Womens - Medium (8-10), Womens - Large (10-12). (See Size Chart For More Information)Care Instructions: Do Not Wash. Do Not Bleach. Do Not Tumble Dry. Spot Clean with Damp Cloth. Cool Iron If Needed. Do Not Dry Clean. *Shoes Not Included.Look just like your favorite Sesame Street character in this Big Bird Sassy Adult costume featuring yellow dress, stirrup orange and pink knee highs with pink bows and yellow character headband. Includes a plaid babydoll dress with a wide square collar.Available in One Size Fits Most Adults.Includes dress This is an officially licensed Brady Bunch costume. 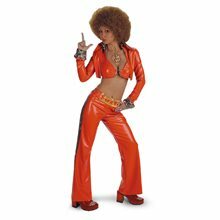 the costume does not come along with the wig, it is sold separately. Bride of Frankenstein Monster 3pc Adult Costume.Includes: Dress, Bolt Headpiece and Arm Warmers.Available Size: Womens - Small (4-6), Womens - Medium (8-10), Womens - Large (12-14). *Stockings, Wig and Shoes Not Included.Bride of Frankenstein Monster 3pc includes black dress with zipper and patch detailing with green tulle and green lace-up front, bolt wig head piece and black arm warmers with green lace-up sides.